With a straight side of approximately 1.15m (45") before the curve starts, our 6ft span polytunnel is not short of room at the sides. 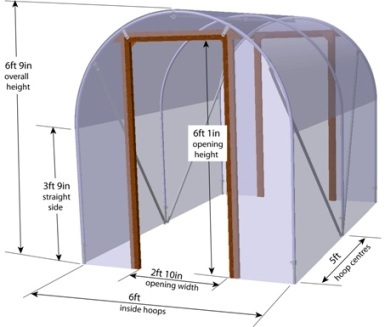 This is a polytunnel that can adequately cope with a row of cane-supported tomato plants along each side. 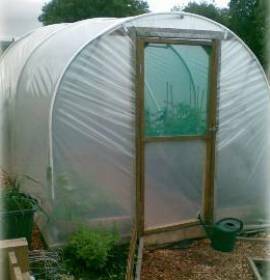 With our specially designed corner braces, we make sure every bit of space is useable, especially important on this size of polytunnel.